Lumi means snow in finnish. There was no other way I could call my first collection of coats. Snow is winter's masterpiece from november till april. Covering all our forest, enhancing the birchtrees' colors in a way summer's light can not. 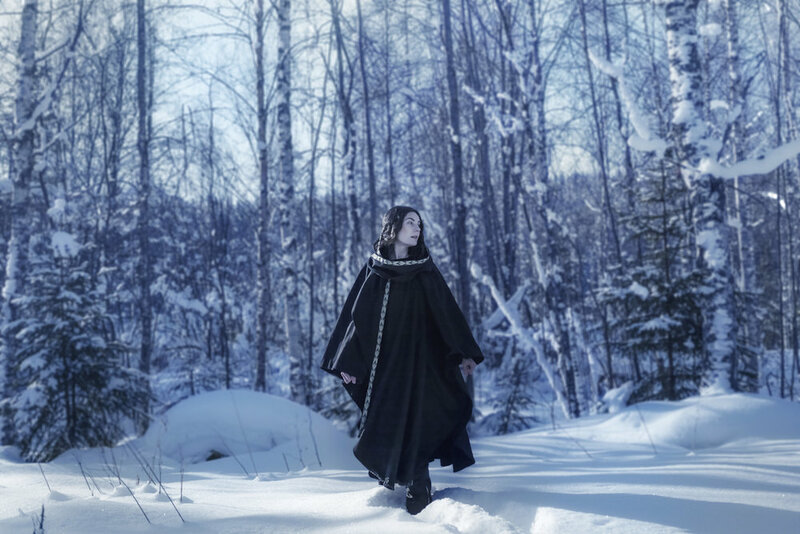 Eira is an ode to lappish traditional folklore. The wool is from Italy and the jacquard embroidery work is really precious. 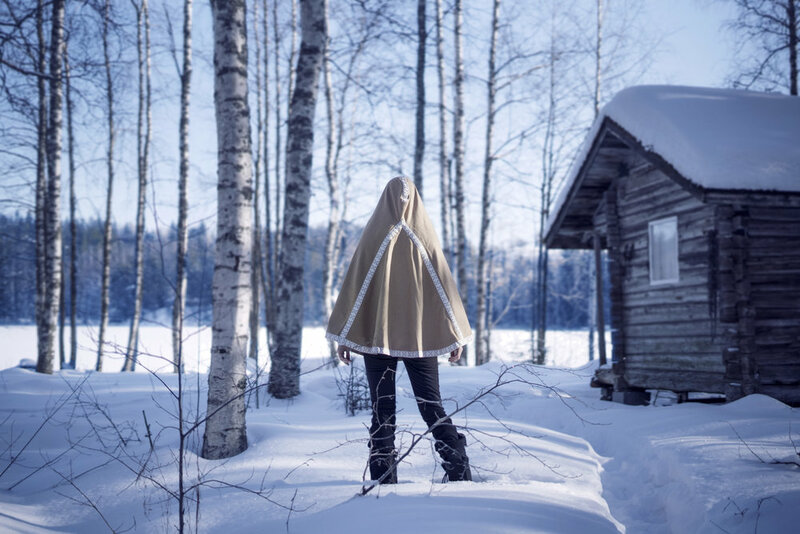 A pourcentage of each cape sold goes to a foundation protection the Sami's way of life. Eevi is an exceptional piece made of 6.30 meters of italian eco-friendly wool, with a jacquard galon made by hand. An iconic and timeless piece. All the collection is made in Paris in our atelier. For this first collection, I want to root the brand, so it grows into a tall, strong, majestic tree. Trees are an endless source of inspiration for me. I believe that their energy and their spirit guard us. I feel our destiny relies on their leafs. Trees of life which will be here way after us. In this collection, prints are my interpretation of birchtree trunks, sunburned woods, white granites, snow covered forest. A balance of brutality and poetry. Prints meet dresses and kimonos inspired by 1920's and 1970's lines, designed in mixed fabrics both light and heavy, to sustain and emphasize women's body.